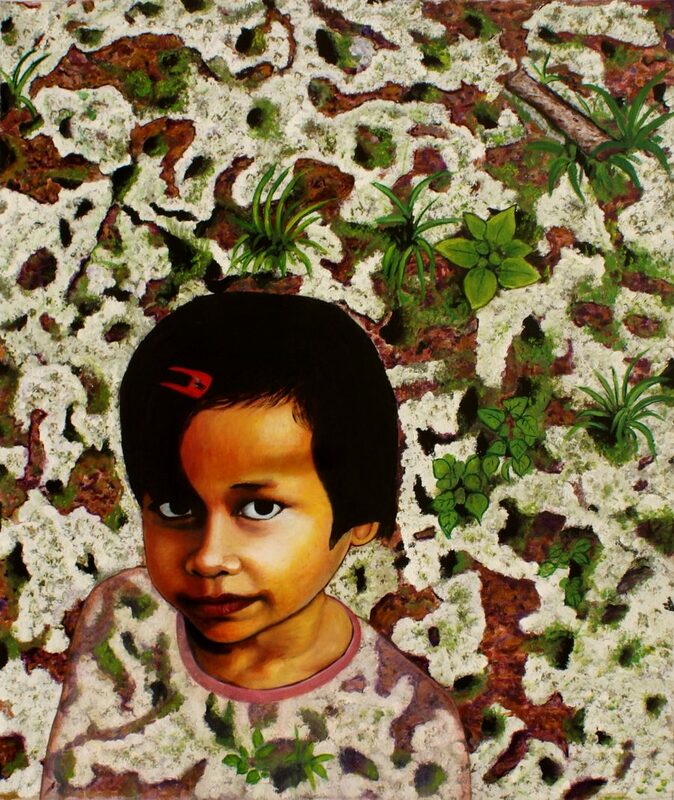 Iranian born, Australian artist, Abbas Mehran’s paintings take you on an artistic journey that overflows with love and colour. 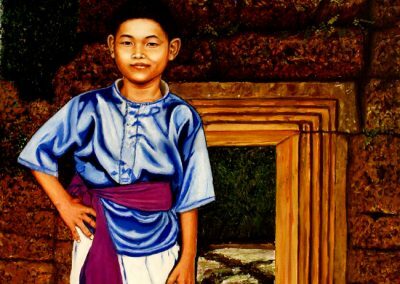 He has worked and lived in numerous countries, from Iran to Argentina, USA, China and Australia; yet no trip touched him as much as his twice short stay in Cambodia. 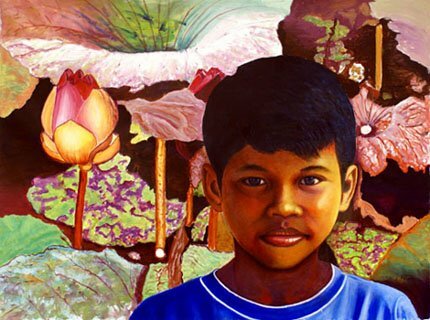 He went there a few years ago to teach the children of Sunrise Cambodia drawing and paintings and to paint a mural on their music building. Sunrise Cambodia has been founded by Geraldine Cox, who has been for many years served as its president and fundraiser. 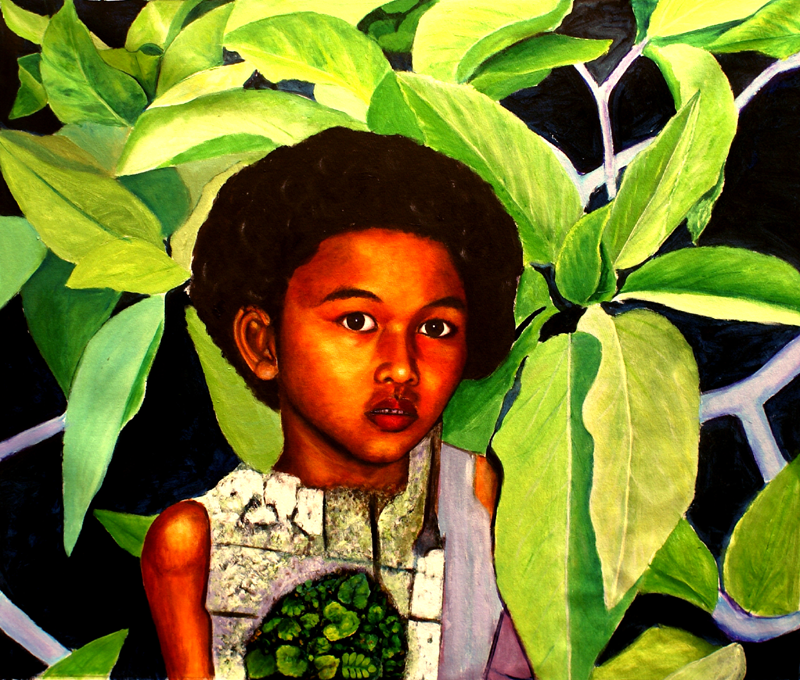 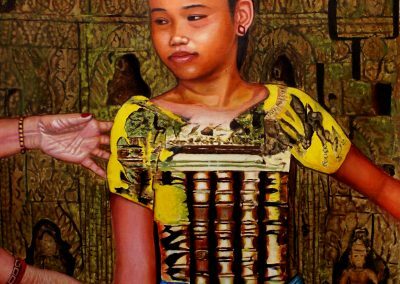 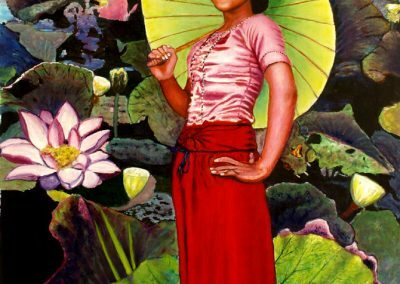 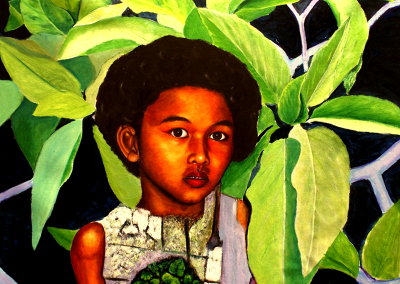 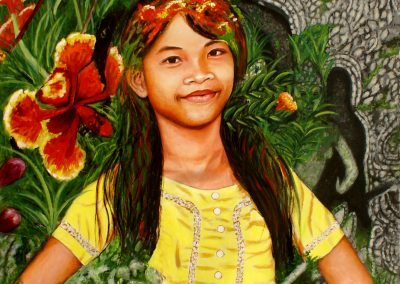 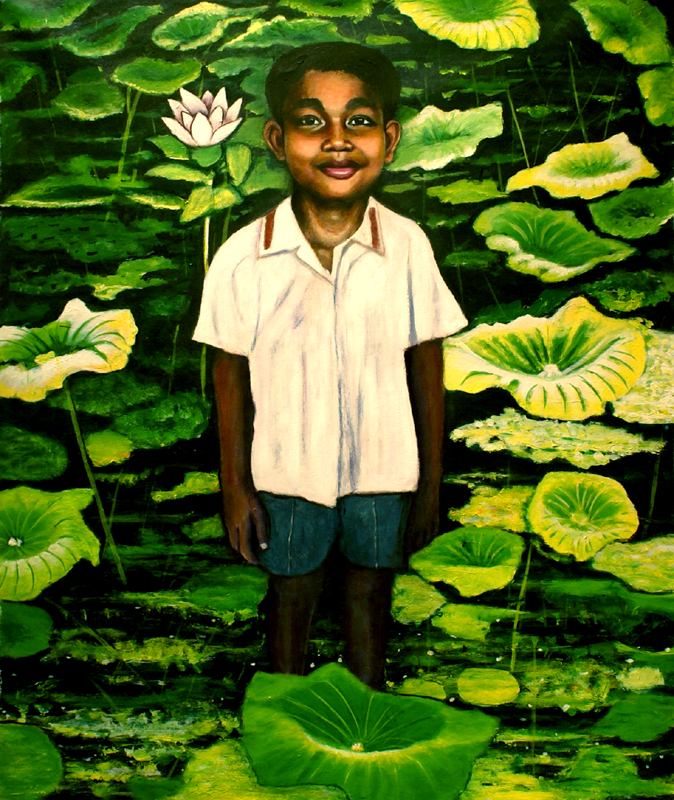 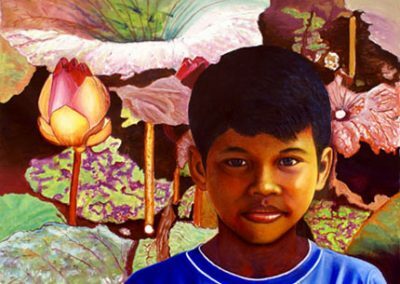 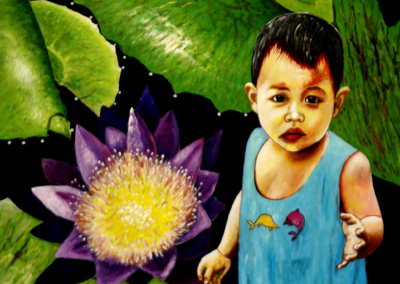 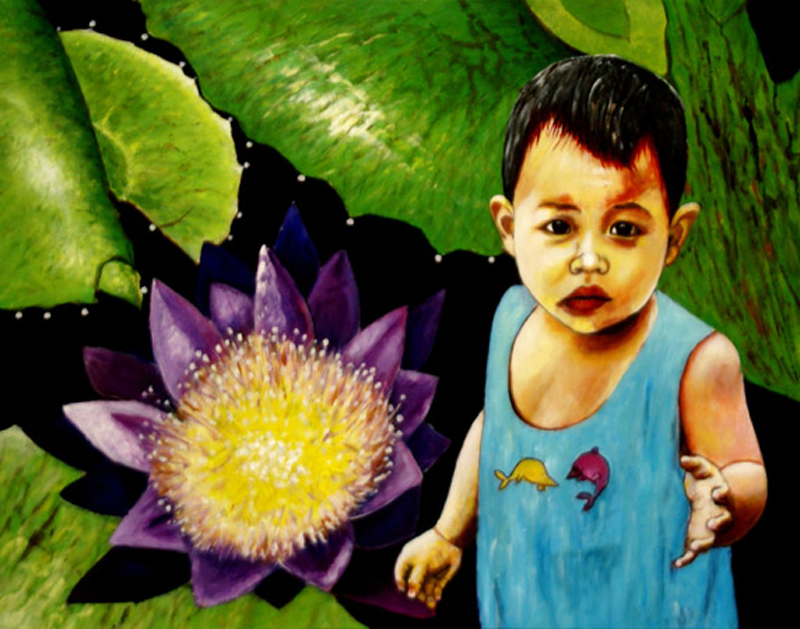 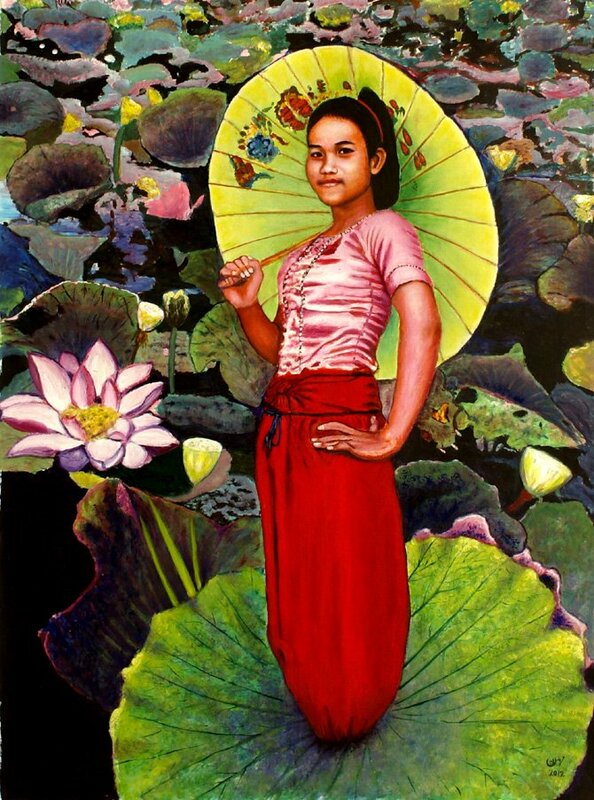 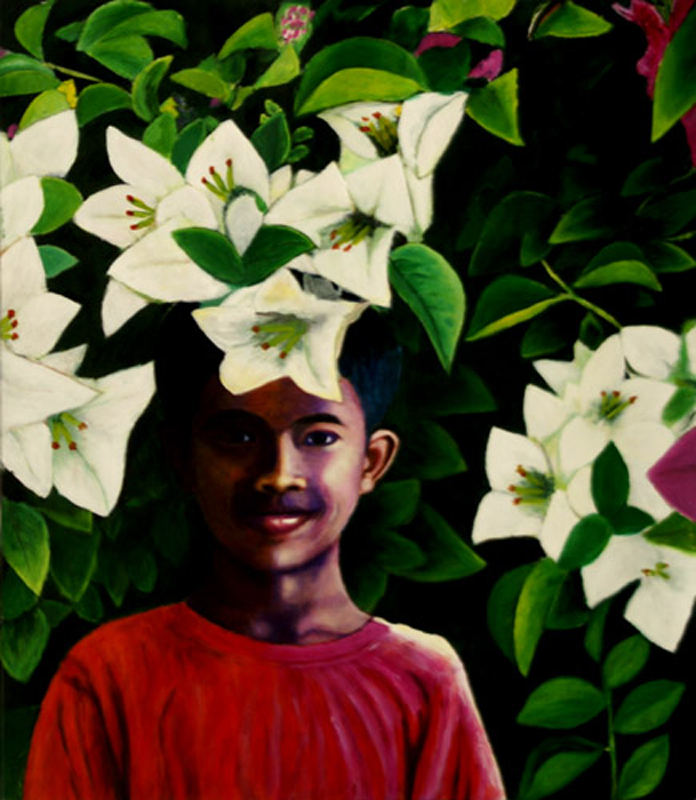 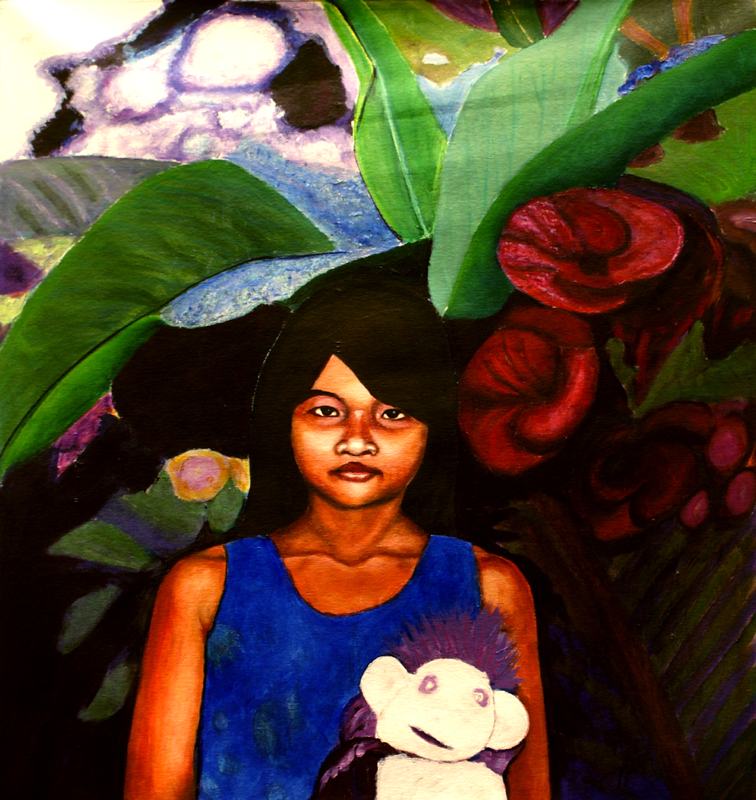 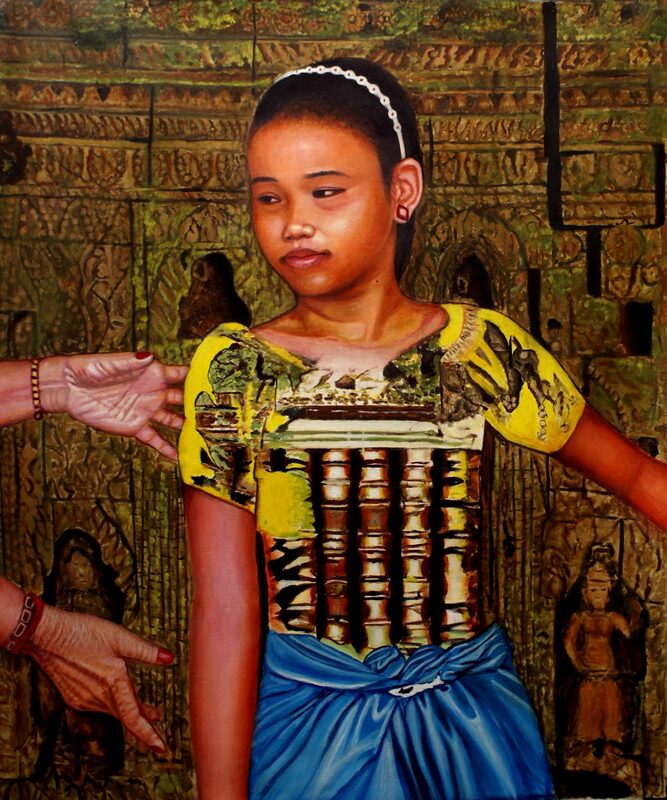 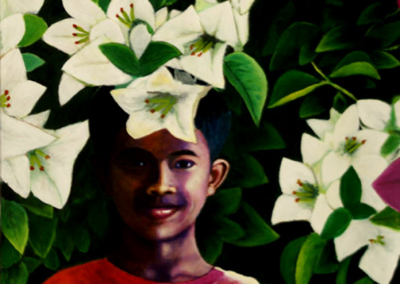 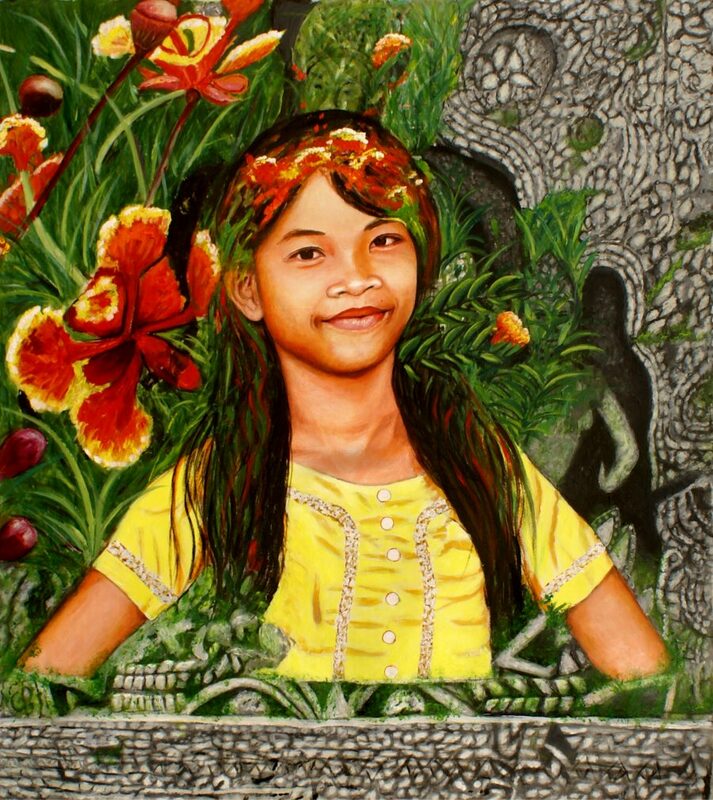 Geraldine Cox’s work inspired Abbas to start a project of his own: paint a series of portraits of children living in the Sunrise Cambodia to be sold for the benefit of the children. 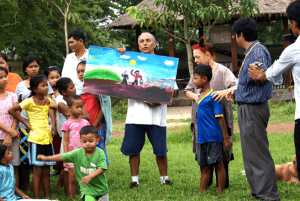 ‘Spending time with the children provided me with an exceptional opportunity to gain a more profound and reflective insight into and an understanding of the “bewildering human nature and complicated human conditions. 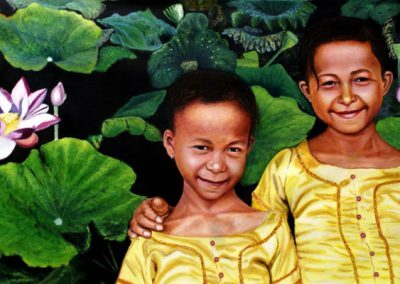 I could observe those children every day and see how they are, away from the world’s cruelties and corruptions; passionate and enthusiastic to learn, to live, and to be. 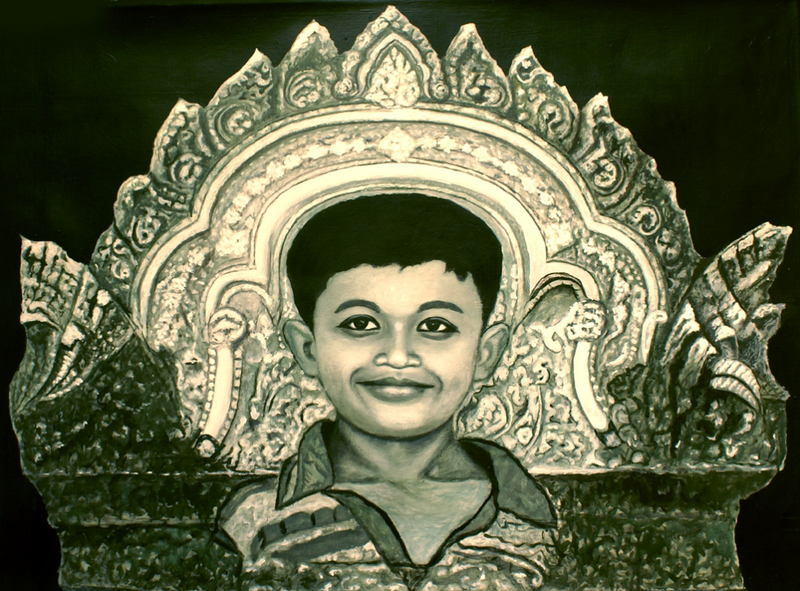 Observing, experiencing, and reflecting upon lives of such children within different and distinguished environments provided me with additional and valuable ingredients – raw materials, which are indispensable to my art practices’, said Abbas. 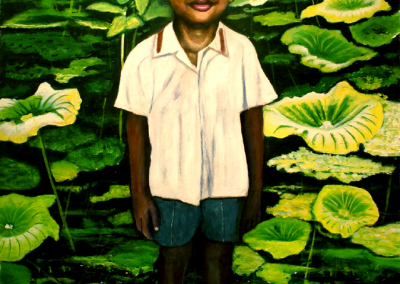 Abbas painted 16 portraits of the kids, each telling their story. 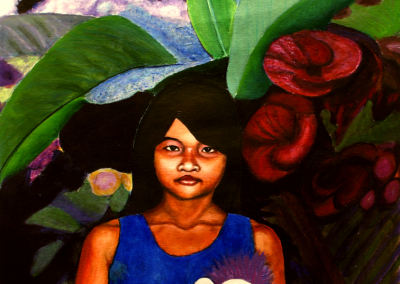 ‘I have been affected by all their stories. 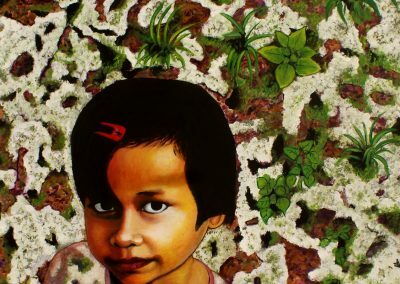 All have been somehow neglected and abused by adults. However, Khin, a three-year-old boy, inspired and struck me the most through his look, reaction and story. 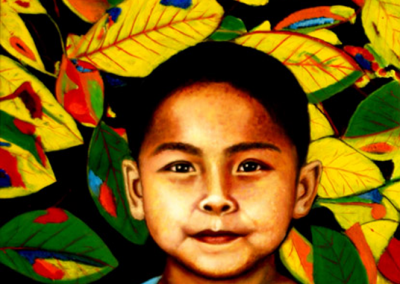 He is a three-year old boy who still does not know who his parents and siblings are. 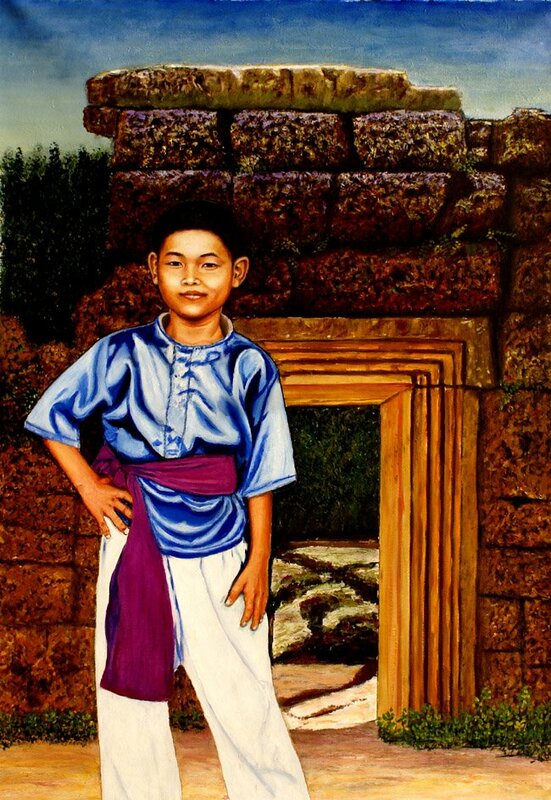 Someone sold him to Malaysian bandit(s), and he was lucky to be rescued by police’. 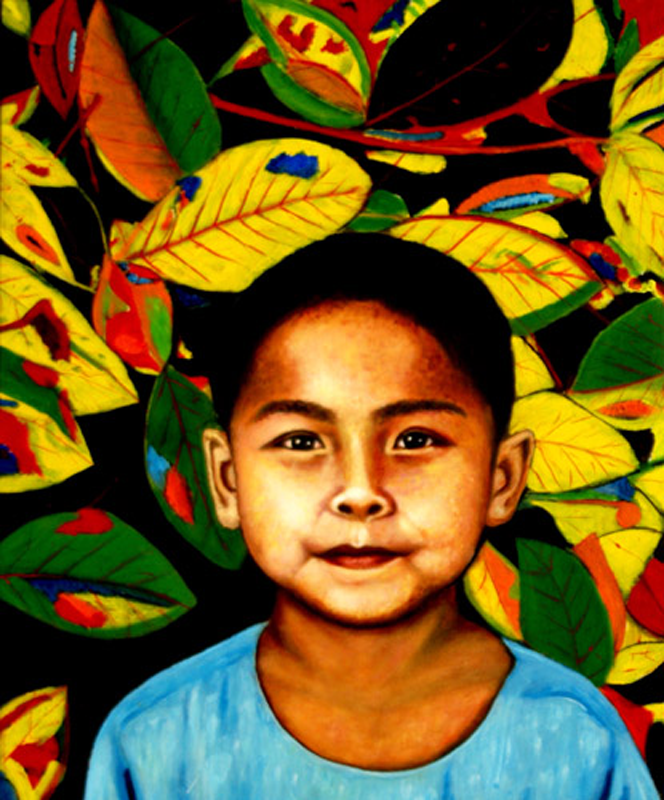 100% of the proceeds from all of the portraits sold will be donated back to Sunrise Cambodia.